na this was off a mates camera, i'l get the vid off him. hi guys, im gonna ask here instead of making a new thread... I have a 1995 ef futura, 6cyl manual, im after a rough guess from someone that has done it before... mine has a 2.5in cat back exhaust thats about it really, am i right in thinking that a mid 15 is possible? the car has done 282,000 but the head gasket was done not long ago looks like they cleaned out the head too (i didnt own it when they did it but i replaced the rocker cover gasket and there was zero sign of sludge or anything inside.) im goin up on the 2nd of april so we will find out, i was going to put on a el gt snorkel before i went up to see if that improves it. im really hopeing to get a mid 15 as the cut off for my class is 15.00. 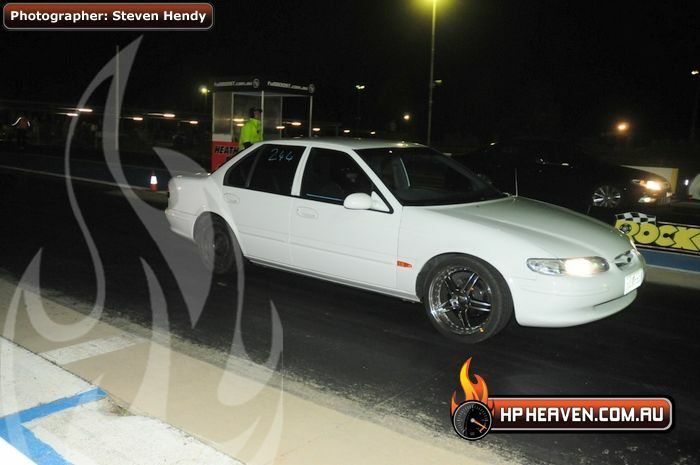 EB Fairmont 4.0 with 3.7 gears, T5 and 180rwkw? 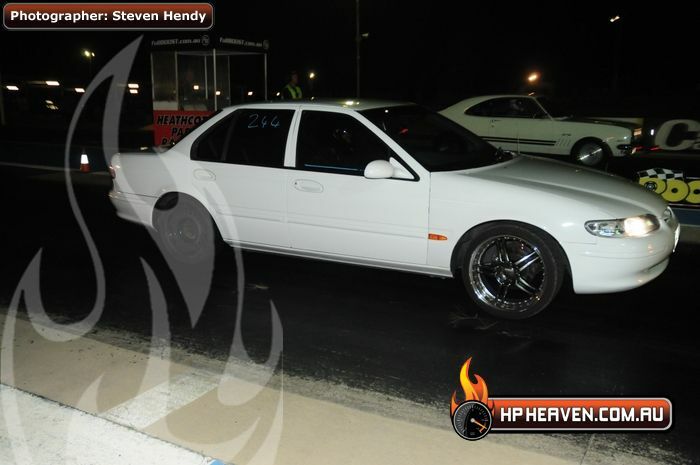 Same car with auto, stall & shift kit and 160rwkw, did a 14.9@95mph. What hi stall did you have in it or what did it flash too not what it was advertised as. Its suppose to be good weather there last we heard. Thinking about the AFF Nats. 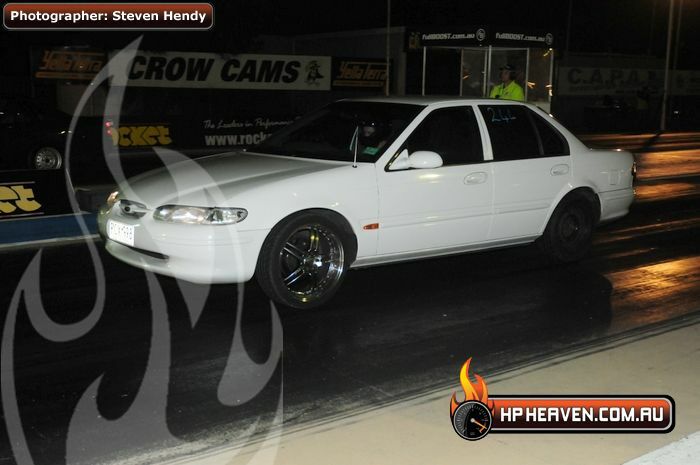 It was a 2300rpm stall. Didn't even make it to the track. Had a bit've a gearbox failure on the drive to Victoria. s**t happpens. Should be ready for AFF Nats. I'm at Heathcote now what should I stall to????! Til it goes BAM BAM BAM BAM! I just did another 14.9, 2.25 60ft, at 94mph. I'l stall higher this time. Thats about what i ran stalling too around 2300 with a couple more rwkw than you.